What do Nursing Homes in Lafayette Hill, PA offer? When receiving care services in a nursing home in Lafayette Hill, PA, your loved one will be in a medical environment that is licensed by the Pennsylvania Department of Aging. In the state of Pennsylvania a Nursing facility is defined as an institution (or a distinct part of an institution) that is primarily engaged in providing skilled nursing care and related services for residents who require medical or nursing care, rehabilitation services for the rehabilitation of injured, disabled, or sick persons, or on a regular basis, health-related care and services to individuals who because of their mental or physical condition require care and services (above the level of room and board) which can be made available to them only through institutional facilities, and is not primarily for the care and treatment of mental diseases. Rehabilitation centers or nursing homes, main purpose is to provide skilled nursing care and related services for residents who require medical or nursing care, or rehabilitation services for the rehabilitation of injured, disabled, or sick persons, and is not primarily for the care and treatment of mental diseases. Nursing homes provide for the total needs of residents who cannot care for themselves. Some of the residential services provide by nursing homes include long term care, skilled and respite care. These communities may also provide clinical, comfort and specialty services. Some nursing homes also provide advanced medical equipment on site along with pharmacies and other health services like Rehab. 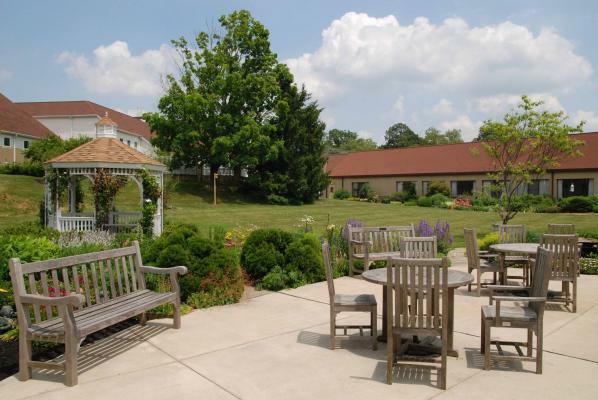 There are 2 Nursing Homes in Lafayette Hill, PA that might fit your needs. Click or see below to view a list of Nursing Home Care Options in Lafayette Hill, PA. Nursing communities in Lafayette Hill, PA have different style living options available. Many facilities now have a separate area for short-term & out-patient rehab clients. Room and board, over-the-counter drugs and medical supplies are a few of the services provided by nursing centers. These communities may also house nutrition programs, recreational therapy and pain management services for residents. Some nursing homes in Pennsylvania also provide counseling services. Lafayette Hill is quaint city in the suburban area of Eastern Pennsylvania. Lafayette Hill is near multiple cities these include Flourtown, Erdenheim and Plymouth Meeting. Lafayette Hill hosts great restaurants and parks such as Sorrento’s and The Persian Grill. Lafayette Hill, PA will surely provide you and your loved one with all your needs.